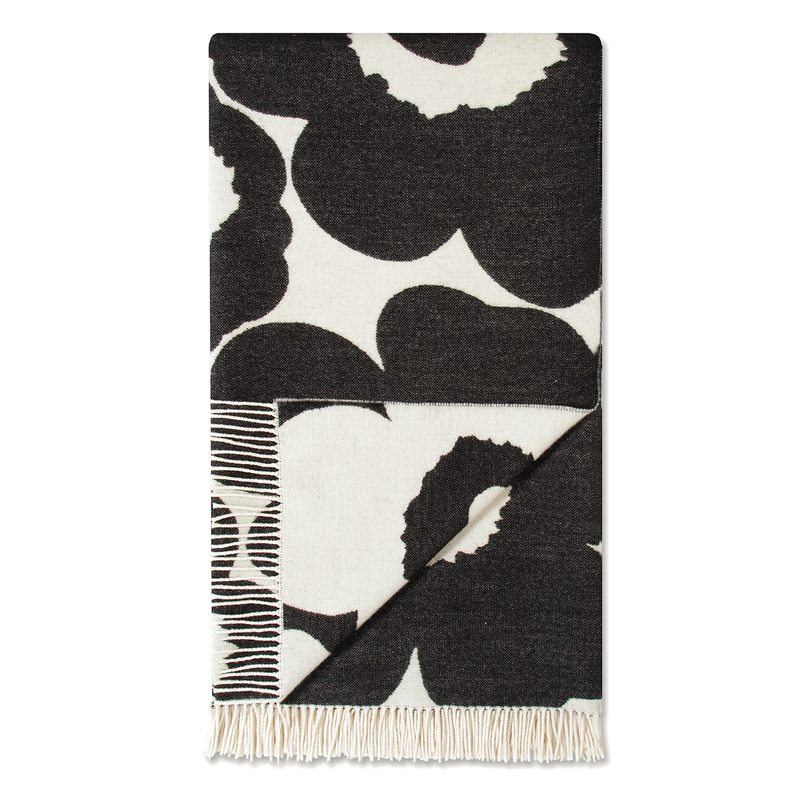 More about Marimekko Unikko Cream / Black Blanket Chilly winter nights call for a warm, woolly throw. Made from a wool and cotton blend, the Marimekko Unikko Cream / Black Blanket is lengthy and lightweight for breathable comfort. 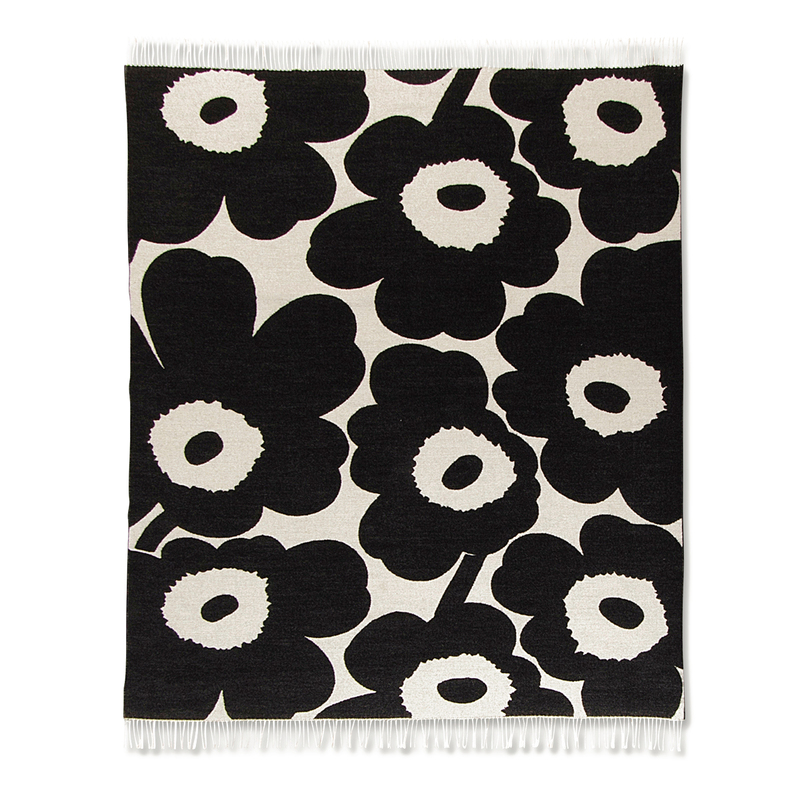 It is adorned with Maija Isola's iconic Unikko print in neutral shades of cream and black, which makes a lovely home accent when not in use. This beautiful blanket is part of the Finland 100 series, celebrating the centenary of Finland's independence.